Fig. 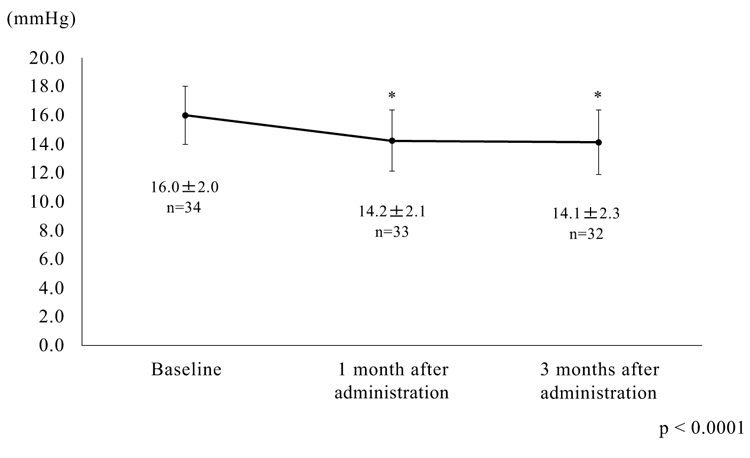 (2) Changes in mean intraocular pressure before and after switching to the fixed combination of tafluprost/timolol. *p < 0.0001.